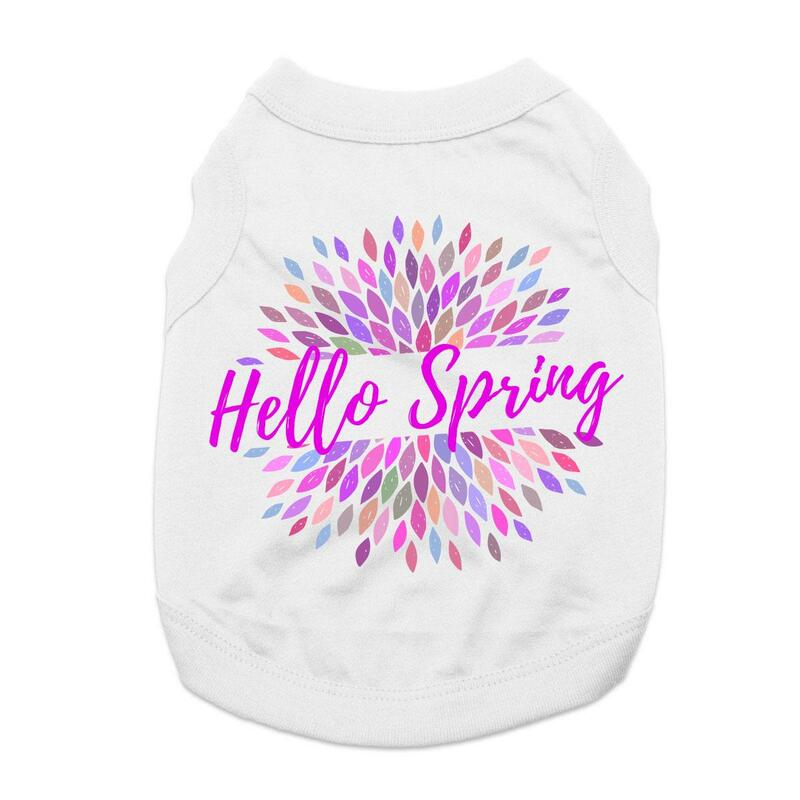 Hold back the cold and bring on the flowers with this friendly Hello Spring Dog Shirt! The Hello Spring Dog Shirt will bring flowers to bloom while out on walks! Welcome spring with this cheerful top and bring smiles to everyone you meet. Actually, this sweet style works year round for dogs that enjoy cottony softness -- especially for layering. This is a custom design that we've created especially for BaxterBoo customers in our very own T-shirt print shop. This has been carefully printed on a white 100% cotton pet tank. This 100% cotton is breathable and comfortable. Machine wash cold and hang or dry flat for best results. 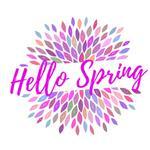 Great for spring gifts and Easter baskets! Pair with one of our pastel colored dog scrunchies for even more attention-grabbing fun! Posted On 03/01/18 by Courtney B from , Yes, Courtney B recommends this product! I would have liked the shirt to be a bit brighter. Posted On 04/14/17 by Courtney B from , Yes, Courtney B recommends this product! I wish the color of the shirt wasn't white. Something brighter would have been super cute. I loved everything about baxterboo. There was a very good seletion for big dogs. I had items that needed returning, it was no hassle at all. I will definitely shop there again and recommend them to everyone I know with a dog.